Leading up to the Champs Bowl, I heard plenty of complaints about our bowl situation. I am equally frustrated and think BC should lead the charge for a full playoff. Until that unlikely day comes we are stuck with the current the ACC bowls. I've done enough brow beating and pleading for BC fans to travel the past two months. Now I'll take a different tact -- selling the merits of travel. Some are more fun than others, but the Champs might be the best of the non-New Years Day games. The players and staff had a really good time. They went to all the parks. 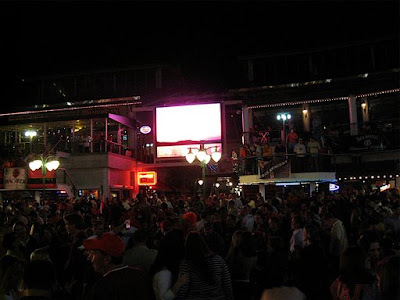 Enjoyed the night life and weather. 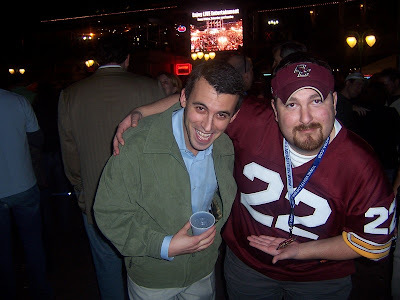 Every BC fan I came across also had a good time. Tailgating in shorts in December can't be beat. And outside of all the bells and whistles of the locale, you still get to see BC play another football game. I've been to the desirable locations (South Bend, Clemson, etc.) and the miserable (Temple and Rutgers). One thing is consistent -- travelling to see BC play has a different feel than a game at Alumni or watching on TV. The setting and being the few amongst the many provide a unique experience. When on the road there is also the chance to meet and bond with other people who share your passion for BC. You should have seen the lobby of the Marriott after the game. SuperFans everywhere. Players and their families hanging out at the restaurant and bars. People still sitting poolside. You'd be hard pressed to find someone who wasn't smiling and feeling good about BC football. 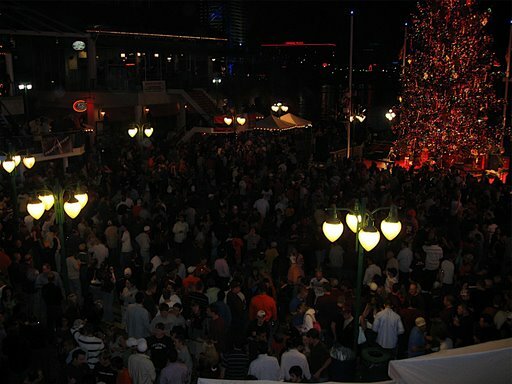 Would we all have preferred to have been celebrating a National Championship or even an Orange Bowl? Of course. But that's not the point. These guys had just accomplished something that no BC team had done in 67 years and when they got back to their hotel there were 1,000+ people welcoming them. It was a fun scene to soak in. The Champs Bowl might not have been the Flutie Cotton Bowl or beating the 1993 Notre Dame game, but I think it will serve as an important turning point in BC support and travel. 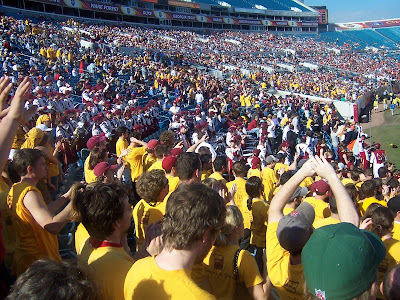 The school pulled out all the stops for fans -- charter buses all over Florida, free tickets for students, bringing the band, and most importantly letting the players get down there early and revel in the experience. The game was very well attended. BC had well more fans than the 5,000 tickets sold. 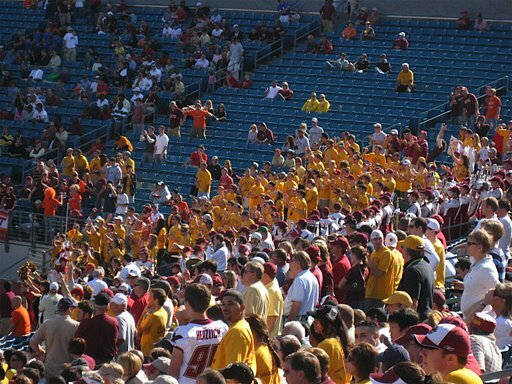 Half the lower bowl was wearing maroon and gold. The Champs folks came away with nothing but good things to say. This will be their best attended and highest rated game since the bowl relocated to Orlando. Teams that supposedly travel well are disappointing this year. 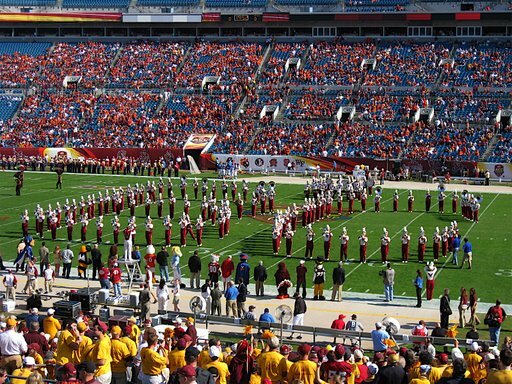 West Virginia hasn't sold enough tickets for the Fiesta Bowl. UVA and Texas Tech will play in front of plenty of empty seats at the Gator Bowl. One day BC will get another chance to play in a more meaningful game. Don't wait until then. It doesn't pay to be a bowl snob. You're missing out and so is BC. If you have the time and means and enjoy BC football, hit the road. You won't be disappointed. If you made it to Orlando and have some thoughts on the experience, please share them in the comments section. Given the number of BC fans I came across in the pregame parking lots and at the Marriott, I know others also had a great time. Spread the word. Here is a nice little article about our 5th year Seniors. I didn't see any of this game due to the bowl. Looks like another win that could've slipped away. Here are my thoughts from reading the tea leaves of the boxscore. For those who saw it, please leave any thoughts in the comments section. -- Making free throws in the closing minutes. Sure Sacred Heart made it more interesting than we would have liked, but solid work from the line closed it out. -- Oates' offense. If I had seen the game I might feel differently (Oates tends to do things that drive me nuts). But give him credit...he made some big shots. -- Rebounding. We out rebounded them -- the margin should have been higher. Too many second chances. -- Defense. If Blair isn't blocking shots, we are not that good defensively. There is no reason Sacred Heart should score with such ease. Just got back from Orlando (but still in another part of Florida). I had a great time. Before I get into the upcoming blog schedule, let me first offer congrats to to the players and coaches for a great season. 11 wins exceeded most expectations and is a major accomplishment. Keep your fingers crossed for a Top 10 rating at the end of the season. People may dismis this season as winning with TOB players or BC winning during a weak year for the ACC. Nonsense. Taking over a good team doesn't ensure success (just ask Louisville). Jags put together a very good staff and pushed the right buttons all year long. The ACC might not be at its apex, but BC won their division, beat three ranked teams on the road and beat seven bowl teams. Great year for a great group of guys. Let me echo what Jags is saying -- this is not where we wanted to be, but winning 11 games is still very important. This is also the last BC football game for nine months, so enjoy every moment. I'll be in Orlando and will not be online during the broadcast. I will try to have a post up after the game. Leave your comments and thoughts below. A Judge dropped charges against the State Trooper from the Cherilus fight. No word on how this will impact Gosder. Matt Ryan is making a good impression in Orlando. Speaking of good guys...here is a must read on Nick Larkin. Mulrooney is still caught up in playing as a true freshman. Since it is a holiday week, I have no idea what is in place around the country regarding game watches. These are the places that have standing events. Please email me or post in the comments if there are additional ones. The game is on ESPN so most of you can watch it from your house, but sometimes it is just more fun to watch with other eagles around. Doesn’t it feel like ages since we last played? Prior to some recent bowl games, we were distracted by coaching searches or the joy of just getting in a bowl. Not this season. This game was and is a letdown for a team that flirted with something bigger. Regardless of prestige or lack thereof, BC and Jags need to win this game. It would cap the season on a positive note, get BC to 11 wins and shift the bowl-streak from a TOB accomplishment to a BC accomplishment. Theme that won’t be discussed on television. In reading about Michigan State the past few weeks, I keep coming across the stat that they lost five games by a combined 28 points. I am sure we’ll hear some variation of it on Friday. I believe the announcers will describe Michigan State as either unlucky or better than their record. I know the ESPN team will not do a deep dive into how this stat can be misleading nor will they compare MSU to other 7-5 teams. As a believer in point differential, the Spartans’ near misses did catch my attention. On the season Michigan State has a point differential of 107, which is high for a 7-5 team. For comparison, these 7-5 teams had the following point differentials, Florida State (12), Georgia Tech (82), Kentucky (83). But all of those teams played a tougher schedule than the Spartans. When you compare Michigan State’s point differential to another 7-5 Big Ten team in Purdue (98), the 107 doesn’t seem as impressive or unlucky. BC’s point differential at 10-3 is only 108. We suffered a -14 setback by playing and losing an extra game. Our numbers were also impacted by the unusual number of INTs returned for TDs. What does it all mean? Nothing for the actual bowl game. As I’ve said in the past, point differential is a good indicator of how lucky or unlucky a team was. Michigan State is probably better than their record but not to the point that they should be favored or that BC should be worried. 1. Stop the run. The D has been making teams one dimensional all season. It is more important against a team like Michigan State, whose gameplan depends on establishing the run. 2. Protect Ryan. Michigan State’s best passrusher is an academic casualty and will not be playing in the bowl. Don’t expect that to change the Spartans’ defense. They will still come after Ryan. 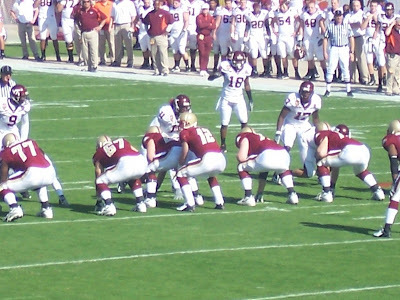 I expect looks like Georgia Tech and UMass gave us – blitzs from every position. It will be important for AC to pick up the extra man. 3. TDs instead of FGs. Moving the ball won’t be an issue. However, scoring points might be. The second half of the season saw too many drives stall in the red zone. What would be a pleasant surprise? Cruising to victory. Both teams have played numerous close games. There is no reason to think this game will be different. What would be a letdown? Losing. I would really like to get to 11 wins. What would be a shocker? A sound MSU win. Relates back to the pleasant surprise. This team (and group of seniors) have been in every game and fought hard throughout their four years. I would be surprised and disappointed if they don’t show up for their last game. I think BC wins this game. Even though this is Jags first as a Head Coach, the people and the players around the program know how to prepare and get mentally ready for a bowl. It also helps that Michigan State will be without some of their best players. I'll have new material up on the 26th. Merry Christmas to all and go BC! Jon Loyte is keeping the Salem News up to date on the bowl week. Here is what some of the other Seniors are saying about the game. Michigan State will be without their best passrusher for the game. Another bonus for the BC band -- they get to be in a Champs Bowl parade. The Spartans will have a New England native on their offensive line. BC recruit Ryan Quigley is mentioned briefly in this article. Still no word on if he'll be kicking and punting. Bill McGovern was honored as one of the top assistants in the Northeast. Here is a look at the type of kid BC recruits. I am with the extended family so I didn't get to see this game. My thougts are what I can derive from our boxscore. If you saw the game and have something to add, please leave your two cents in the comments section. BC teams have always struggled with the first game after exams, so I'll take the win. -- Rice with the game on the line. He was ice cold all night, yet made the final basket. Always a good sign for the tight games ahead. -- Winning despite an off nice from Rice. This ties to point 1. Our best player on a young, limited team scored five points and went 1-11 and we still won. The other guys stepped up. -- Sanders' big night. Sanders has often looked like a freshman -- moving too fast, too aggressive, unsure of where to be. I don't know how he looked tonight, but his numbers speak to a growing maturity. If he learns control, he'll be a dangerous player. -- Rebounding. When Rice is cold and Roche's shots aren't falling early, we need to hit the boards for easy baskets. There is no excuse for shooting .404 against Northeastern. -- Roche's step back. He looked good before the break and then comes out cold against a lesser team. I was hoping for more consistency. -- Flat after exams. I mentioned this in the lead paragraph. Why do Al's teams always come off the exam break playing in a fog? It has cost us games in the past and nearly cost us this one. Perhaps, when we rely so much on timing in our sets, that the break ruins the rhythm. The schedule is manageable until Kansas. Let's hope they stay focused. Most BC fans long for any coverage of the Eagles from the Boston media. Out in Michigan, things are a little different. The Spartans have a very good professional blog dedicated to Michigan State sports. To get a better feel of our Champs Bowl opponent, I've asked Joe from Bleeding Green a few questions about Michigan State. His answers are below. For more on Michigan State and general coverage of the Champs Bowl, check out Bleeding Green. 1. Michigan State's pass defense has been hit or miss. They generate plenty of pressure on the QB, but also have been picked apart and given up some big plays through the air. Do you think they will be more conservative going up against one of college football's better pass offenses like BC? Bleeding Green: I really don't think they'll be more conservative, because Pat Narduzzi blitzes everyone. MSU's ends, Saint-Dic and Baldwin, are the strength of the defense and have been able to get heat on their own. But Narduzzi still sends the linebackers a lot and occasionally a cornerback. The way he's looking at this game is, if you sit back in coverage, Ryan will dink you to death. May as well try to get after him, maybe hit him a few times, gamble that BC's receivers won't beat you deep. 2. BC has been very good stopping the run. The most effective part of Michigan State's offense is its ground game and that is where the Spartans' best playermakers are. If the rushing attack gets stymied, how does MSU usually adjust? Bleeding Green: This will be a very fun matchup to watch. Ohio State was the one team that really stuffed MSU's rush attack this year. The Spartans had pretty good success against everyone else. But in the final two games of the season, against Purdue and Penn State, both teams stacked the line and MSU had to pass to loosen things up. Quarterback Brian Hoyer played well in both games, and receiver Devin Thomas dominated. If Hoyer is playing well, this is a very difficult offense to handle, because backs Javon Ringer and Jehuu Caulcrick are both effective runners. Ringer is the primary back, elusive and speedy, and Caulcrick is the power guy. 3. What is your assesment of Mark D'Antonio's first year in East Lansing? Bleeding Green: Dantonio's first year has been impressive. He inherited an underachieving team that went 4-8 last season and completely collapsed after blowing a 16-point lead in the fourth quarter to lose to Notre Dame. He changed from spread to pro-style, and zone blocking to gap blocking, and the offense has been productive and balanced all season. He improved the defense, although the personnel is not there right now for major improvement. Most impressively, he somehow changed a losing culture that really took root under Bobby Williams in the early 2000s. A team known for falling apart in the face of adversity (blowing a 10-point lead to lose to rival Michigan was expected to kill the season) instead battled back to beat Purdue and Penn State. Also, the Spartans were not blown out all season. All five losses were by a touchdown or less -- including overtime losses to Iowa and Northwestern that never should have happened. The U-M loss was a crusher. MSU had a chance to win at Wisconsin on the road but lost 37-34. The Ohio State game finished 24-17, but the Buckeyes dominated most of that game before MSU came back with a couple defensive touchdowns. So it's been a good year, but also a year that could have been much better. That's where Dantonio and his staff deserve some criticism. There was some questionable playcalling late in the losses to Wisconsin, Northwestern and Iowa. To Dantonio's credit, he acknowledged that he and his staff should have done some things different in those games. Bleeding Green: I'm not technically allowed to make a prediction until it runs in our paper on game day. But at this point I expect a competitive, entertaining game. I think both offenses will be able to move the ball and score. I've seen Boston College several times this season, and I think MSU will have a very difficult time stopping Ryan and that offense. I also think BC will have a tough time with Devin Thomas, he really is a special talent. Overall, I'd have to say I favor the Eagles slightly. Most of you probably saw this on Boston.com, but our game against Kent State has officially been moved to Cleveland. The game will also be played on Saturday, instead of Thursday. That is good news for our fans in Northeast, Ohio. Bad news for everyone else. The Thursday game would have been on TV. This game might not be. Since it is a road game ACC Select and ESPN 360 are unlikely. Keep your fingers crossed. This article on bowl gifts also made the rounds yesterday. I think our guys getting a $400 shopping spree at Best Buy is pretty cool. Pennsylvania product Eric Reynolds committed to BC. Codi Boek is featured in these two articles (1 and 2). I think he has a real chance to play next year. Finally, former BC assistant and current Temple coach Al Golden has emerged as a candidate for the UCLA job. Only a guy like Golden could turn a 4-8 season at Temple into a plum job like UCLA. We actually owe him thanks for encouraging two of our current staffers (Ryan Day and Mike Siravo) to come to BC. Golden and UCLA is a head scratcher to many involved, but I think he'd do well there. 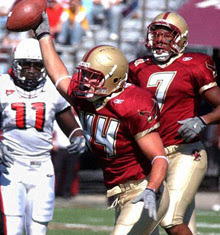 The Class of 2003 is BC’s winningest and produced numerous contributors who have helped BC football over the last five seasons. Looking closer shows that even our best recruiting class still had misses and that they were not the sole reason for our 2007 success. (Only 70% of the recruiting class even played this season and you could argue that a handful of them regressed). 1. One class does not make or break a program. 2. It is often very hard to project who is going to be a star and who is not. 3. The recruiting rankings are not perfect indicators. Tom Anevski 3 3 Yes Contributor and part-time starter in 2006 and 2007. Justin Bell 3 2 No Battled injuries throughout his career. Dorien Bryant 4 3 No Never played for BC. Went to Purdue after a stint in prep school. Andre Callender 4 3 Yes Contributor for three seasons. Blossomed into great player as a Senior. Kevin Challenger 3 2 Yes Started as a Junior and Senior. Solid possession receiver his final three seasons. Gosder Cherilus 3 4 Yes Started all four seasons. Jo-Lonn Dunbar 3 3 Yes Two-time captain. Critical player his final three seasons. Ryan Glasper 3 2 No Four year starter. Used up eligibility prior to 2007. Ty Hall 3 3 Yes Contributor and part-time starter over four years. Trey Koziol 3 3 No Battled injuries. Ray Lankford 3 2 No Rarely played. Nick Larkin 3 3 Yes Important contributor. Three-year starter. Taji Morris 3 2 Yes Rare contributor as a FR, SO or JR. Very nice season in 2007. Brad Mueller 3 3 No Rarely played. Paul Peterson 3 2 No Critical part of 2003 and 2004 seasons. Ryan Poles 4 3 Yes Another late bloomer who was having a great season until getting hurt at Notre Dame. 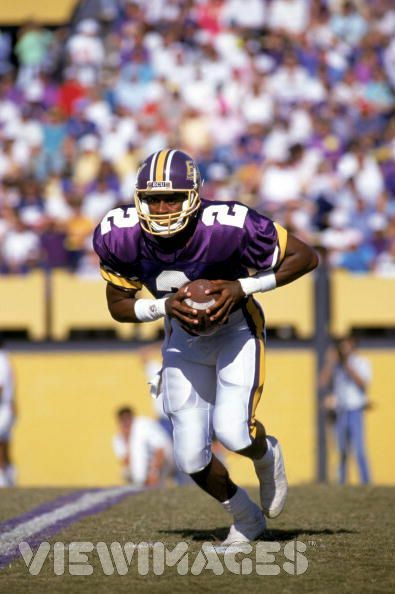 Tyronne Pruitt 3 2 Yes Two-year starter. 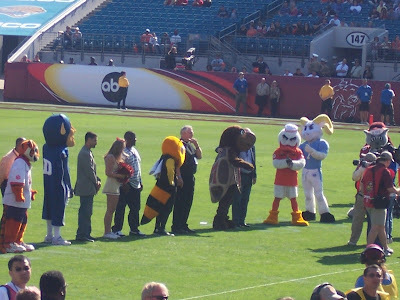 Important part of 2007 season. Matt Ryan 3 3 Yes Key leader for the past 2.5 seasons. Kevin Sheridan 3 2 Yes Started in 2006. Rarely played in 2007. Jamie Silva 2 2 Yes Contributed as a redshirt freshman. Key starter his final three seasons. Ryan Thompson 3 3 Yes Contributed throughout his career. Diminished role in 2007. DeJuan Tribble 3 3 Yes Key starter his last three seasons. LV Whitworth 3 2 Yes Started his first three seasons. Diminished role in 2007. Danny Zepp 3 2 No Rarely played. -- Ryan and Peterson were both fall back plans. TOB and staff swung for bigger fish and missed. And both were expected to sit behind Quinton Porter. They embody how hard it is to evaluate QBs and how important a Quarterback can be to a successful season. -- Even once a kid gets onto the field you cannot always predict how they will develop year to year. Sheridan, LV, Challenger and Thompson all saw diminished roles this season. Gosder regressed. Callender and Poles looked like new players as seniors. -- There is something to be said for managing your roster. Dunbarr was brought in as a RB and moved to LB. Remember this when our 2008 recruiting class is filled with a bunch of QBs, RBs and DBs. Some of those guys will play other positions. -- Redshirting is not fool proof. Everyone loves to tout redshirting. We’ve benefited from it, but did an extra year of seasoning help Zepp or Mueller or Lankford? If a guy can play, he can play. And not everyone gets asked back for a 5th season. In the offseason I may dig deeper into recruiting and try to make sense of this inexact science. Nice feature on Craig Smith. He is really filling the scoring void Garnett left with the T'Wolves. 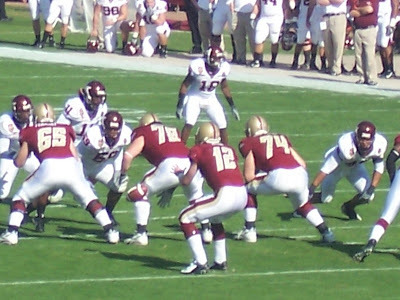 Alex DiSanzo was one of many BC recruits to make the All-New Jersey team. Colin Larmond also received all-state honors. I do my best not to get emotionally invested in recruiting news. Past experience has me hardened to the flawed rankings and the gossip sold as news by the major sites. It’s a long was from wooing a high school kid to the ACC championship. Staying somewhat detached from recruiting keeps things in perspective. "Great mix of academics and athletics." This is our most important selling point. We respect the student and give them great support to graduate. It also attracts the type of kid who can see the big picture. "Northern school playing big time football." One of the most misguided criticisms BC took during the ACC expansion was that we would be out of place in our new conference. The ACC gives BC another distinct recruiting pitch. We are the lone school in the northeast that allows a guy to play in front of friends and family, yet also take on teams like Florida State, Clemson and Miami. The Big East teams cannot claim our level of attention. Penn State has a similar position to BC...fortunately we never seem to go head to head with them over recruits. I am realistic. I know playing time, style of offense and getting on TV help our recruiting. But as long as the right message gets out and the player knows what he is getting, the coaches are doing their job the right way. The other aspect of our recruiting that pleases me is the breadth of our recruiting territory. In addition to New England, New York/New Jersey/Pennsylvania and the Midwestern Catholic Schools, the new staff is placing an emphasis on Florida, Texas and the southeast. The dividends may be small at first, but I think now is the time to leverage BC’s reputation. We consider ourselves a national school. Our football team should embody that as well. I know our pitch will be ignored by the vast majority of top kids in SEC land. There will also be plenty of kids who will respond. Recruiting is evaluation, sales and hard work. I think this staff believes in what they are selling and is certainly working hard. If their evaluations are good, we’ll be benefiting from their efforts for a long time. With the NCAA quiet period approaching, many recruits made commitments to BC the past few days. I'll have more on what I like about the new staff's approach later today. For now, enjoy what these guys have to say about heading to the Heights. South Carolina kicker/punter Ryan Quigley committed after the weekend. I imagine he'll be our punter and in the mix on kickoffs. In this article, the paper focuses on BC's success graduating players. Quigley also gets a mention at the end of this article. BC is a factor in the New Jersey recruiting cirlces again. The most recent commit came from Chris Pantale. At BC, he is expected to play Tight End. Arkansas's loss was BC's gain when Junior Okpara made his commitment to BC. Turned off by Petrino, Okpara reopened the process and connected with the new staff. The Big Ten Network previewing the Champs Bowl. Remember this article? It was the perfect example of The Sporting News' Tom Dienhart's inexplicable love for TOB. Sunday night, EDSBS had Dienhart on their podcast and a BC fan alerted the hosts of Dienhart's ranking. He dodges and spins a little...as expected. I got word late in the show that they had brought it up and so I called to thank Orson and Peter. You can hear me chat with the guys in the last 20 minutes of the show. When you write as often as Dienhart, you're going to miss your mark plenty of times. I should know. However, his constant drum beating for TOB prior to the NC State move and his consistent potshots at BC and Jags won't be forgotten. I don't know other's take, but it seemed like Blaudschun put a melancholy spin on this Ryan moving on article. I hope the team is fired up by the time they take the field against Michigan State. The best part of the piece was Ryan's quote at the end about how different their lives are from normal BC students. Puts things in perspective. They are students, but given unique opportunities and in return, asked to live a very different life. Yet another article on Colin Larmond. Seems like a really good kid. Some soccer players earned academic honors. A nice article on Basketball assistant Pat Duquette. We often give Al credit for having a great eye for talent when it comes to players. He's also done a pretty good job of surrounding himself with good assistants. Gene filmed a little video clip to sell the Champs Bowl. BC is really doing their part for this game. Let's hope we get some traction with the fans. I know I sound like a broken record on this stuff, but you shouldn't view these games by their prestige. Just view it as a road trip to see BC football. Everyone I know who sees BC on the road has a good time. 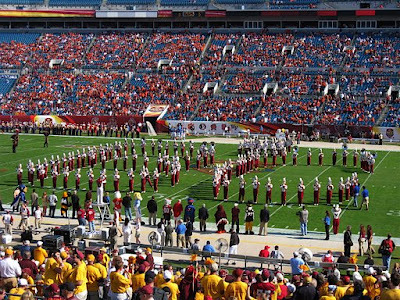 How can BC afford to bring the band, give students free tickets and subsidize Florida buses? ACC revenue sharing. This means the BCS games are not windfalls, but it also reinforces the best revenue sharing plan in college sports. BC is very fortunate to be in the ACC. Catching up with Jermaine Watson. Another article on future Eagle Colin Larmond. In the East section of this article there is a quote from another BC recruit from New Jersey, Alexander DiSanzo. It looks like our game against Kent State might be played in Cleveland at the Browns Stadium. I don't think we'll pack the place, but there is a decent BC-contingent in Northeast Ohio. Here is an article on future Eagle Evan Ravenel. In the notes section of this article there is a little mention of Mike Mottau's return to Boston. Nice story of perseverance. 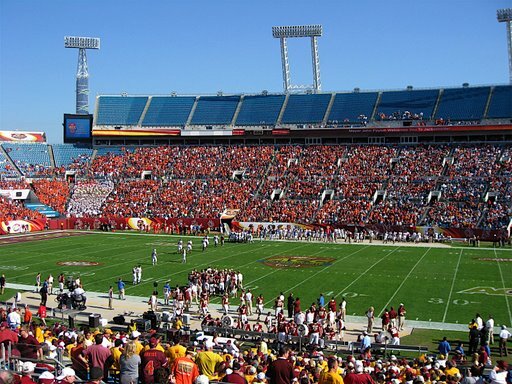 UVA is having trouble selling tickets for the Gator Bowl. 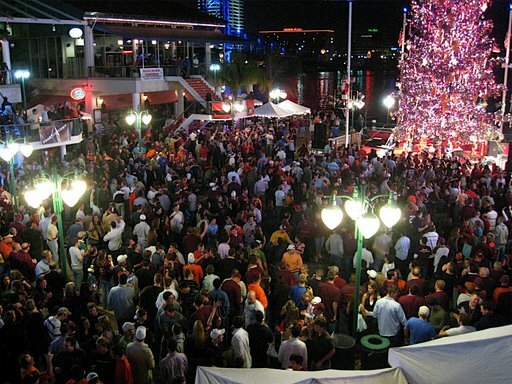 This doesn't excuse our turnout for the ACCCG, but it will help during future bowl jockeying as UVA won't seem that much more attractive than BC for Florida bowls. SMQ is producing a great series -- "Am I a bowl team?" We are a key mark on the resume of his latest entry. Many of you probably read this earlier in the week, but I wanted to highlight the blog on bowl presidents' salaries. This process will never change because so many people are invested in the current system. There are 30 bowl committees who have created a cottage industry around these games. They create an artificial postseason that is essentially a kick back to college coaches and provides none of the pressure of a playoff. ESPN gets built in controversy all year and cheap programming during Christmas week. Ugh. I wish the university presidents (not Leahy specifically) would wake up and realize their ADs and coaches are pulling the wool over their eyes. There is a better system and billions of dollars to be had in a playoff. A few notable teams like Alabama and Louisville are also looking to fill holes in their schedule. Taking on a high-profile program has clear advantages. TV coverage is assured. You can sell it to recruits -- "We play in the ACC and take on anybody. This year we're playing Alabama." A win generates buzz and changes perceptions. Losses still count, but there is a modicum of respect by just taking on a tough team. If BC were to sign on for a well known program, we would probably play them on the road and get a future return game at Alumni. Why not do it? Because the risks aren't necessarily inline with the rewards. A loss wouldn't count in the ACC standings, but it would impact our potential ranking and our bowl eligibility. As Ohio State and Kansas showed this year, sometimes winning generates more buzz than playing a challenging schedule. MAC teams, Sun Belt teams and some WAC teams would gladly play BC...especially if we come to them. The downside of these games is that the payday is smaller, the wins are not respected and you open the door for an embarrassing loss. Think of Central Michigan in 2006 (who proved to be good) or Ball State in 2004. Both teams gave us real scares. Kent State will probably give as all we can handle next season. When BC pulls those games out all we get is a W. We don't generate any buzz. If we lose, we get laughed at and it makes our bandwagon a lonely place. I would find a winnable game. As I wrote earlier in the week -- and it wasn't a popular thing to post -- I think next year will be a challenge. Our defense will be good. I think our offense will struggle. Our line will be filling two open spots and the production from our QB is completely unknown. Based on his willingness to play USC and the comments I've heard through the grapevine, I think Jags would sign up for a game with Alabama in a heartbeat. I think Gene might be a different story. He is almost as invested in Jags succeeding as Jags is. Giving BC an easier game during a transition year continues the program's momentum and helps us get back into a bowl. I know Gene would also love to get another home game. My bet is we'll play another MAC team. We'll probably win and very few non-BC fans will even pay attention. Although our opinions won't decide this game, I would love to hear what you guys think. Leave your thoughts in the comments. Not much news, but a few BC-related links. The ACC Championship Game is set for the next four years, yet Orlando is already thinking about 2012. Orlando makes as much sense as Jacksonville or Tampa. Gene gets mentioned towards the end of this article as a candidate for the open AD position at Washington. Washington is a bigger job than BC, but I don't see Gene leaving BC. He has a pretty good gig now. BC gets mentioned about recruiting Deion Walker. I am skeptical of recruiting rankings, but I do like to read stories of our staff working hard. It is a welcome change after the old staff's complacency. I know many of you didn't see this. Let me tell you: I am amazed we were shooting to tie the game with seconds left. We had no right being that close. It was an ugly game where very few things went right in the second half. The bright side is that considering all the problems, the team kept it close. Here are my thoughts on the game. -- Solid minutes from Roche. He hit his shots. He played good D. He had his best game of the year. -- Raji's anticipation. Penetration was killing us in the second half. Eventually you could see Raji begin to slide over to slow it down and get the rebound. -- Fighting back. At times in the Skinner era when the team got down, the effort seemed to fade too, leading to the occasional blowout. This game and the Providence game could have gone that way but didn't. These guys fight back. -- Tempo. We played their game. We rarely got into our set offense. It was sloppy. -- Reacting to the half court trap. They kept pressuring Rice and we couldn't create anything off of it. The other guards need to help him and we need people cutting for easy baskets. -- Interior D. Why are Oates and Blair hovering at the perimeter? This led to the easy penetration by the pesky UMass guards. -- Spear's fadeaway. He loves that shot and it never seems to drop. It also takes him away from the good rebounding position. -- ESPN U's coverage. Andy Katz was great. Everything else sucked. Rooke was off. The edits, cuts and graphics were terrible. I appreciate that ESPN U is another outlet for us to watch, but the production can be really hit or miss. 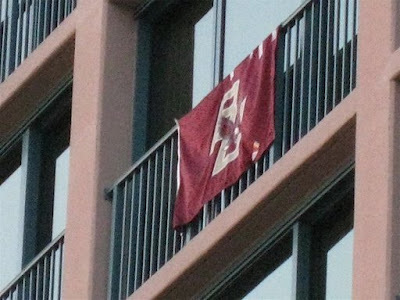 UMass heads to the Heights tonight. It should be another test for the young Eagles. A win would be a solid boost to the resume and probably the last chance to add a decent non-conference win to the record (we'll be major underdogs to Kansas). UMass comes in at 6-2. They had a very good win at Syracuse and lost games to IUPUI and Northern Iowa on the road. UMass is a very productive offense and so so defensively. They'll shoot a lot of 3s and get some easy baskets close. The key for BC is to get defensive rebounds and try to get our offense humming with the close, cutting baskets. The game is on ESPN U for those of you who have the channel. Goodbye Jacksonville. Hello Charlotte...and Tampa? I don't know how Tampa will be any more successful than Jacksonville. If anything it makes the drive for potential teams that much longer. Charlotte was pushed back two years due to scheduling conflicts. Based on John Swofford's Midas touch, I bet the first game in Charlotte will be a sparsely attended Miami-Florida State matchup and we'll see the smaller ACC schools in Tampa the next two years. New Hampshire will be well represented in tonight's BC-UMass game. Big night for Craig Smith in a loss to Washington. In non-sports news, Harvard is continuing its push into Allston. Where is the outrage that accompanies any BC expansion? Jamie Silva earned first team All-America honors. Congrats and well deserved. Jamie is the perfect example of inaccuracy of forecasting high school talent. Intelligence, hard work, good coaching, desire, and physical and emotional maturity all go into becoming a great college athlete. I don't know if Jamie has the size or speed to play in the NFL, but he's proven plenty of people wrong in the past. Good luck. He'll be missed. This season is not yet over, but people are already looking ahead to next year. Tobacco Road insider Caulton Tudor expects us to finish at the bottom of the Atlantic Division. I think next season will be a real challenge. Every team on our schedule should be better and we'll have an untested quarterback. At this point -- with the full schedule and potential staff changes unknown -- I think 7-5 and a bowl berth would be a very good season in 2008. The ACC named Corey Raji the Rookie of the Week. Harvard is restructuring their financial aid and tuition requirements to help the middle and upper-middle class. This is long overdue and will hopefully have a ripple effect on all private, elite colleges. I wish BC had been at the forefront of this effort. I assume that if Harvard is successful with this, BC and other schools will not be far behind. In other news related to the BC experience, Father Leahy is considering moving all undergrads on campus. Not sure how I feel about this. I enjoyed living off campus my Junior year. It would be nice to give every student the option. Forcing kids to stay on campus won't change the dynamics with the neighbors. They'll always have something to complain about. Duke is still looking for a new head coach. This article mentions Steve Logan. This one does not. I think Logan will be at BC next year. BC recruit Max Halloway played well in a Florida All Star game. The calendar includes program covers from classic BC games in the '40s and '50s. The art work is great and it made me long for the day when we played teams like Ole Miss and LSU. I don't know how many people actually use wall calendars anymore, but it makes a good present for a BC fan who collect Eagles memorabilia. Take a look. Through this link, you get a 10% discount on all purchases. If you buy, let me know what you think. I won't do this again if people have a negative experience. Does BC finally have a defense? The foundation for the offense was clear. Al brought in smart, overachieving players and gave them a tested system in which to thrive. We have (and had) a clear identity. Conversely, those same attributes hurt us when trying to shut down the other team. Our players were often athletically inferior to their opponents. And our amalgamation of defensive schemes (amoeba, 2-3, man) left us without an identity. We were often content to let the other team have an off night and outrebound them. Sometimes it worked. Other times it didn't. 1. Shot blocking. As Sean Williams showed, blocking shots masks a lot of problems. Establishing a shot blocker like Blair not only alters the shots he does touch, but it also changes how a team attacks us. As long as Blair is out there, you'll see few drives and more midrange shots. 2. Not fouling. This might not seem like an obvious one, but so far this team is not committing a lot of fouls. Some might say we are not physical enough. Who knows? Physicality is hard to measure. In tangible impact, what avoiding fouls means is that the other team is not getting to the line. That will keep scoring down. 3. Steals. We didn't pick many against Maryland, but having Paris, Rice and Sanders on the the ballhandlers will increase our turnover rate. 4. Better perimeter defense. Al's teams have often been content to let the other guys chuck 3s. Aside from last night's breakdown in the closing minutes, we are doing a much better job guarding the 3. How it could all fall apart -- defensive rebounding. Our big men don't rebound well, making for plenty of easy baskets for the other team. Spears has picked up his pace, but he cannot do it alone. Look for Raji and Sanders to grab some boards. If no one works on improving this, I think you'll see the D get exposed as the season wears on. Big day for Will Blackmon Sunday. He returned a punt for a TD and recovered a fumble for another touchdown. Will has battled injuries in the NFL, so it is nice to see him have his moment in the sun. Kelly Z. sent along these pics of Jared Dudley during the Pistons-Bobcats game. Remember Dan Coleman? He's the guy who bailed on Skinner after summer school a few years ago. His scholarship was used on some kid named Dudley. He's no Jared, but he is putting up decent career numbers for Minnesota. After letting a similar lead slip away against Providence, this team held it together for a tough ACC road win. I am starting to feel better about the season. Here are my quick thoughts on the game. -- Raji off the bench. If he keeps playing like this, he'll be starting soon. For now, his versatility and spark are proving to be a great asset in the second half. -- Al's juggling of the lineup. We don't have a good rotation yet, but Al did a good job going big when Maryland kept getting easy baskets. Blair responded in with his blocks and Oates even gave us some solid minutes. -- Two guards against the press. Paris had trouble on the inbounds (I'll get to that in a minute), but we will not be pressed too often this year. Rice and Paris did a good job getting up court. -- Mike Gminski. This is unrelated to BC, but I really do think the Gman is one of the better colormen in college hoops. Smart analysis throughout. -- Paris inbounding. I am glad we have his presence to handle the ball but he made some bad decisions on the inbounds play. He'll learn...and he also needs to learn not to force shots in against shot blockers. -- Running the flex against aggressive man D. The team struggled in the first half establishing the offense and getting good shots. There were numerous possessions towards the end of the first half when the shot clock became an issue. The team also needs to be more careful with the bounce passes. -- The defense when Maryland was climbing back. It felt a bit like the Providence game. We need to be a little more disciplined. Maryland got off too many open 3s from their best perimeter players when the game was on the line. We'll get burned in ACC play if that keeps happening. I am sure the Terp fans will say the refs handed us the game. That would be a disservice to this team. Vasquez was mouthing off the entire game and deserved the T. Also, many of the fouls came when the Terps resorted to sending us to line late in the game. No rest for the weary as they face a tough UMass team this week. Thanks to Vinny for his great videos all season. Hopefully he can tack on a Champs Bowl win to this 2007 year in review. The Boston College Alumni Association has joined together with BC Athletics and the BC Fund to offer discounted travel packages for our alumni and friends in the state of Florida. Packages will include a game ticket, access to the pre-game tailgate, and roundtrip bus transportation to and from four Florida locations. This package, a $150 value, is being offered to you at a price of $75 per person. Please see below for pick-up times and locations. All buses will return to the pick-up locations immediately following the game. To take advantage of this amazing opportunity, please contact Jen Breer at 617-552-2471 or breerj@bc.edu. Our Eagles need your support, so act now! I'll be coming down from North Florida. These trips are a good deal and this is a great chance to see this group of seniors one last time. If you're in the state, don't miss this game. Band: "We're going to DisneyWorld"
Mini-controversy averted as the full band will now be at the Champs Bowl. Makes things a little more expensive for BC but those kids deserve a nice trip, too. In honor of the Orlando vacation maybe they should do a little Disney medley during the game -- "It's a Small World," "Pirates Life for Me," etc. -- instead of "Sweet Caroline." The people who did travel to Jacksonville spent more money and time than last year. I would guess that most of it is attributed to the Hokies. Former BC AD and current Navy AD Chet Gladchuk has to find a new coach. One of the candidates for the job is Steve Logan. College Basketball reference is building out their BC page. Not sure I agree with their starting five. It doesn't give enough credit to the guys from the '60s and '70 and put Danya ahead of Dudley! In one of those quirks that has never been explained to me, the men's basketball team opens their ACC schedule against Maryland again this Sunday. In addition to starting conference play against Maryland every year, we also play the Terps a month before we play any other ACC team. Greivis Vasquez. Maryland's scores enough with their version of the flex. Their real strength this season is their defense. They block a good amount of shots and challenge everything. 1. Get to the line. For a team that blocks as many shots as Maryland, the Terps don't commit a ton of fouls. 2. Defensive rebounds. We need to limit their possessions. 3. Pick up the pace. We matchup fairly well with the Terps. I think the key will be pushing the ball and the tempo. We need our small guys to score in bunches. This will be a good test for the team. They have surprised so far. Let's hope they continue this weekend. The coaching carousel keeps turning. We are not involved this season, but there is still impact on our program. As I said at the Fanhouse, it seems like Arkansas went after every coach in the ACC. Here are my thoughts on how the ACC changes will impact BC. Bowden staying at Clemson. Good news for the most part. Bowden staying means that Clemson will continue to be a tough game for BC. But I also believe he has a ceiling and will not dominate the division or the conference. I do believe that Clemson is a sleeping giant. If they had hired the right coach, the Tigers could have locked up the Atlantic Division for a decade. Instead, we get more Tommy. We still have a chance. Florida State announced a succession plan. Good news for BC. This keeps the conferences biggest program in limbo for another season or two. Is Bobby calling the shots? Is Jimbo? If Florida State struggles does Fisher still take over? I know the goal was stability. I think the Seminoles will find this creates more confusion. Jim Grobe is staying at Wake Forest. Bad, bad news for BC. As long as Grobe is at Wake they will remain a tough game for BC. I had hoped he would move on and the Deacons would sink to Duke like levels in football. Georgia Tech still looking. Doesn't really affect BC. I think Georgia Tech will be a solid program with the right hire. However, since they are in the other division, we don't have to deal with them too often. Duke still looking. Bad news for BC. I want them to hire someone quickly and I want Gene to give Logan a nice raise. "In my day, there was only Disneyland and the Rose Bowl. We didn't have new fandangled things like DisneyWorld or the Champs Bowl!" My last lecture to students was well received by alumni, but didn’t seem to spike attendance among current students. For shame, you youngsters! In my day, we weren’t in the ACC. We didn’t compete for championships. We lost to teams like Temple! You sat through a thunderstorm as we lost to Florida State. Big deal! I sat through a thunderstorm as we lost to Army. I told you to go to Jacksonville. We lost, but we had a good time. Now I am telling you to go to Orlando. BC is behind this too. They are giving students **FREE TICKETS**. Come on! When I was at BC we paid for everything! The only free thing I got in four years was a bunch of bus rides, but that required freezing at the bus stop for hours each day. You cannot use exams as an excuse this time. You cannot use time as an excuse. What is there to do at home during Christmas week? Hang out with a bunch of your high school friends? Get in the car and road trip it with a bunch of SuperFans. You get to see Matty Ryan for one last time. You can hit the amusement parks. Heck, they even give away free beer at SeaWorld. If you cannot have fun in Orlando with a bunch of college friends, you’ve got problems. Go to the Champs Bowl. Next season will probably be a step back. We’ll be fighting for the bowls in San Francisco or Boise. This is the one to go to. BC fans need to shake our travel rep and it starts with you. **Free tickets**. Florida. Christmas time. We wish we had it this good back in the day. Many of you have sent the ESPN article on the Peach Bowl's selection. It is an interesting look at how the teams are selected. However, some of it needs to be taken with a grain of salt. There are some sad truths about BC in here but you also have to realize that in exchange for the access the Chick-fil-A Bowl granted the writer, they used the article as an outlet for their spin too. The Chick-Fil-A Bowl wants it to appear that they struggle over the teams. The reality is they want the best event possible. The game is secondary. It was another bad weekend for the Chick-fil-A Bowl. Nerves seem to be on edge and not just because the committee's food -- Chick-fil-A nuggets, what else? -- has yet to arrive. "Too many teams lost, we canceled the food," Robinson joked. Last week's preferred flavor -- Alabama vs. Clemson -- won't happen. Boston College beat the Tigers 20-17 at Death Valley to win the ACC's Atlantic Division. The Eagles have now beaten Virginia Tech and Clemson, two of the more attractive teams for the Chick-fil-A Bowl. Worse, the Crimson Tide lost to Louisiana-Monroe 21-14 in Tuscaloosa, Ala., dropping their record to 6-5 overall. My take: even when things were going good, they were thinking of other teams. "We haven't made a decision," Stokan said. "I can't remember it ever being like this. You've got so many situations where it's going down to the last game." 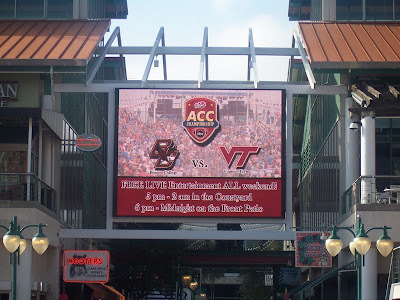 Boston College and Virginia Tech will play in the ACC championship game in Jacksonville, Fla., the following Saturday. 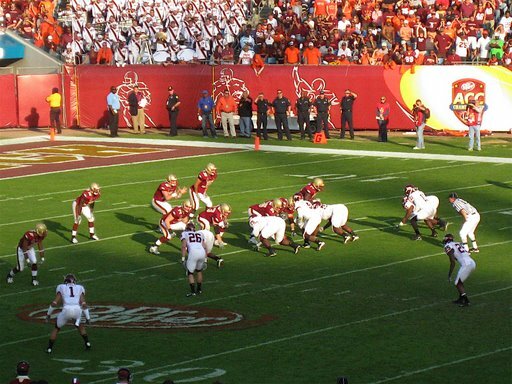 If the Eagles win, the Hokies will return to Atlanta for the second season in a row. If the Hokies win, things get more complicated. Stokan has had positive discussions with Boston College athletics director Gene DeFilippo, but Chick-fil-A Bowl officials remain concerned about the Eagles' traveling fan base. Stokan changes his weekend plans to attend both the ACC and SEC championship game. He wants to see how many Boston College fans make the trip to Jacksonville. "I'm going to watch them play and see how they do," Stokan said. "I'm going to see what the injuries are. I want to talk to people and see if I can get a feel for how many people they'd bring to Atlanta. We do know we'll take Virginia Tech if they lose." Before the meeting is adjourned, the committee gives Stokan authority to ultimately decide which teams will be invited to play in the Chick-fil-A Bowl. The guy left the game while the score was tied. He wasn't concerned about how we played. He was concerned about ticket sales. This is how our poor showing in Jacksonville is going to stay with us for a long time. The ACC choice still hasn't officially been made. Since the Chick-fil-A Bowl selected Miami in consecutive years in 2004 and 2005, Stokan feels he can't afford to select a school that might not sell its required ticket allotment of 17,500. The Hurricanes sold fewer than 10,000 tickets in each of those years, making the Chick-fil-A Bowl a soft ticket. After discussing the situation with Robinson and Chuck Fruit, the Chick-fil-A Bowl's chairman of the board, he decides to select Clemson over Boston College. What they fail to mention is that those Miami games sold out. BC would have sold out, especially with Auburn there. But it is more than selling out. They want fans to show up and spend. They want it to be a destination. And they want a sure thing. A game between BC and Auburn probably would have sold out. A game between Clemson and Auburn did sell out. In the end, Stokan's decision proved to be the right one for the Chick-fil-A Bowl. Clemson sold its allotment of 17,500 tickets in less than 24 hours. Auburn's pool of 15,700 tickets was gone by Tuesday morning. I don't think we were ever as wanted as the article portrays. Stokan needs to give lip service to the process and merit. But if we want to be part of this process we need to change our behavior. We need to start traveling. It was a year ago today that TOB officially left BC for NC State. I think time has proven that it was a good move for all those involved. For those of you who weren't reading this blog last year, here are a few posts of note from the time. -- Stuck in a rut. I wrote this after the Miami loss and TOB's flippant "we're up, aren't we?" comment to Erin Andrews. I feared no one would want him and we would never fire him. NC State made things easier. It gave BC a fresh start and avoided a bitter firing. -- TOB to NC State rumors. NC State's courting of TOB was interesting for me as a blogger. Running this blog I hear a lot of things. Much of it is rumor that I don't feel comfortable posting. However, I knew the NC State stuff was real based on who was visiting this blog and what terms they were searching. In the five days leading up to the TOB to NC State announcement I kept getting curious searches related to TOB -- all from the Raleigh area and many with NCSU.edu as their ISP. Funny how that stuff works. -- Thank you Tom O'Brien. He's done and said things since this post that have rubbed me the wrong way, but I still stand by what I wrote. -- For Gene's consideration, Part I: The TOB Tree. This is the first mention of Jags anywhere and it came 30 minutes after TOB's departure. Like I said earlier, I don't break news. I hope I provide analysis and information that others don't. That is why I am proud of listing Jags the first night. -- Anyone else as excited as I am?. My post right after Jags' first press conference. If you want to look back at everything you can always read the December 2006 archives. One of the benefits of bowl season is seeing various matchups that don't occur during the regular season. Michigan State-BC is one of those matchups. We've only played the Spartans five times, most recently in 1995. BC has never faced a Big Ten team in a bowl game. In fact, I was surprised by how rarely we play Big Ten teams. Considering we were independent for much of our history, you would think we would have served as a schedule filler with these midwest powers. This just shows that these schools have been lightening their load for decades. Of the current Big Ten schools, we have never played Illinois, Iowa, Minnesota, Purdue nor Wisconsin in football. The following is our record against the Big Ten schools we have faced. -- Defensive rebounding. With Blair blocking shots and the guards creating turnovers, this team has a chance to be one of Skinner's better defensive units. The determining factor will be defensive rebounds. They did a good job last night. -- Raji's continued productivity. I wondered if the Providence game would be a single blip. Doesn't look like it. He had another very productive night coming off the bench. -- Southern's sloppy outing. I wondered why he wasn't seeing the floor. Maybe he's not ready. Reports were that he looked a little lost out there. My bigger concern is that if he doesn't get more time this year, he might be a lost cause. With Skinner it is sink or swim. -- Shooting percentage. This is nitpicking, but we should really be getting and making better baskets against a team like this. One thing is clear from everyone who went -- Jacksonville was a good time. Two Atlanta BC guys BC Mike and Mod6a sent along these pics. For those of you heading to Orlando, current BC student Huelsebu has set up a facebook page for the trip. 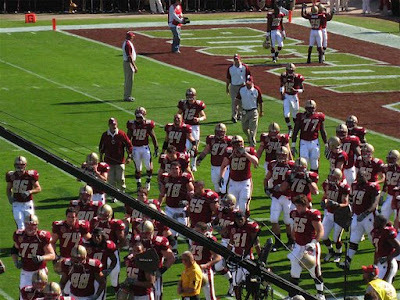 BC announced its plan for the St. Johns land as part of a massive expansion of the campus. This is great news. Hopefully the locals won't slow the process down in court. Here's a look at how the coaches voted. TOB liked BC. Michigan State coach Mark Dantonio didn't. Incoming BC football player Dominick Le Grande was named Player of the Year by the New York Daily News. Michigan State is excited about playing BC. I know our guys are going down early and will go to all the parks. Not a New Year's Day Bowl, but these guys earned the trip. This is a little old, but Matt Ryan won the Unitas award. This was a tough one to watch back. This was truly a game of inches. VT’s second and third TDs were nearly stopped. Brace was a step to slow on Glennon’s scramble on the 3rd and seven. On Glennon’s final TD, Akins got to him right after he got rid of the ball. Heck, even Herzy almost got his hand on the second TD. If he’s get four inches more air on his jump, their kicking a field goal. We had them and the game. Such a shame. Watching live, it seemed like Ryan was off or rushed a little. Watching it back I realize he played really well. He hit a ton of guys right in stride. He adjusted to pressure well. He ran when they gave it to him. He carried us all year and almost got us in the Orange Bowl. No complaints. Also, the INTs show how stats don’t tell the whole story. Ryan has thrown plenty of bad picks but his two Saturday were not. The first was a last ditch desperate heave to keep the season alive. The second was just another deflected ball when things had gotten even worse. AC also had a heck of a game. Doing his usual pass catching and running very hard. I hope he goes out strong because his season was a testament to what maturity and a coaching change can do. LV had a few plays. McLuskey blocked well but we used him much less than we have of late. It will be interesting to see if he gets more carries out of our basic offense next year. The ABC broadcasting team kept referring to our receivers as possession guys. It is an obvious backhanded compliment. Unfortunately it is also true. The prime example was Challengers late catch. A game breaker sheds that Safety and scores the TD. Robinson had a good game. The other guys made some tough catches. The Tight Ends were pretty quiet. The offensive line was a mixed bag…again. Tennant and Ramsey played well. Ramsey was pulled for a little stretch but looked good throughout. He really finished the season on a high note. Anevski and Hall did not play all that well. Cherilus played well early but started missing assignments and giving up on plays in the second half. Castonzo played better but also struggled in the second half. 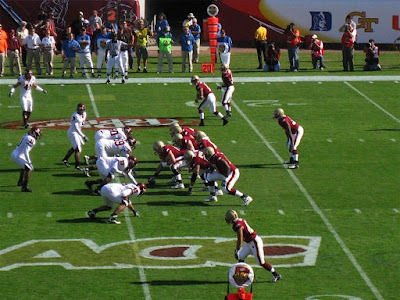 The lines failure in short yardage also proved costly for BC. I think Logan called a pretty good game. VT varied from their usual man coverage and used much more deep zone than they normally do. I would assume they didn’t want anyone to get free like AC did in Blacksburg. That left Ryan and Logan to dink and dunk down the field. I would have liked more run plays, but we had enough success moving the ball. It was the redzone where things got harry – Bud Foster pulled a Spaz on us. Some people quibbled about the pass on 4th and one. It is one of those genius plays if it works. I think it was an okay play (Ryan could have hit Purvis if he got rib of it earlier). I know some of the bloom is off Logan. I really liked the play calling Saturday and throughout the season. The defensive line as a group played well. They did a good job containing the run, just couldn’t disrupt the pass. Ramella had a really strong game. Brady Smith played well. Brace – as I mentioned in the lead – nearly stopped Glennon on the second TD. He didn’t have many other big plays. Larkin had a quiet day to conclude a quiet season. Giles played well eventhough he was called for a borderline penalty. Willette only got on the field a few times. The second team DTs rarely saw the field. We clearly missed Albright. Considering they weren’t 100%, Dunbar and Pruitt played well. Akins had a really strong game. For the first half of the season he was in a fog. The second half he was a beast. It makes me feel a lot better about next year. Herzy was his usual strong self – I am amazed by how much ground he covers. Francois looked good. McLaughlin didn’t play nearly as much as he has. The DBs were good, not great. Silva made some big plays, but got burned in single coverage. Anderson was rarely tested. Rollins looked good. Gause was good in run support and is a good tackler. His coverage skills still need work. Morris was rarely tested. Fox saw a few plays at Safety. Glad to see him on the field after his injury. Spaz’s D had their usual challenges on third down and in the pass rush, but they were not the problem Saturday. They played really well. They mixed things up. He was ready for both QBs. They stopped the run. It was a good gameplan considering. Jags blamed the blocked kicks on the snaps. They weren’t good but Stevie’s line drives were also the problem. He is not a good kicker and it hurt us Saturday. The points and the momentum both played a part in the loss. Jags and Yanowsky need to find a serviceable kicker next year. The punt and kick coverage was good. Silva did well with the punt returns. The kick returns were ok. The big problem was the mix up with Akins at the end of the half. But should he really be back there? Xs and Os were good. Special teams were shaky. My observation from being close to the sidelines is that the team was flat after halftime. Jags has been great about pushing buttons all year. For some reason the offense didn’t respond in the second half. But overall he had us driving to tie the game with the best player in the conference late in the fourth. I am disappointed but not going to pin it on coaching. As I’ve said, it was a bitter end to a great run. These guys did overachieve. Let’s put this game behind us and focus on beating Michigan State. Sorry for the delay in the second viewing thoughts. I still haven't gotten around to watching the game back. I'll get it up as soon as I can. However, there is something about Saturday's game that I think will serve as a glimpse into what our offense will look like next year. It is important to remember that this season was ultimately about maximizing Matt Ryan's strengths and a transition to a more aggressive offense. Ironically, when teams like Virginia Tech made an effort to contain our deep passing we wound up looking a lot like the TOB/Bible offense. 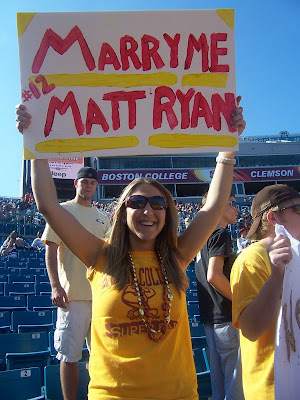 But two moments from the ACC Championship Game stand out -- both of Matt Ryan's scrambles. Next season, I doubt the new QB will have the same flexibility as Ryan to change plays at the line. I expect Logan to encourage a different sort of decision tree... one that begins after the snap. Say if deep options are covered and the outlet is not open, I think you'll see the QB run. Think of how many times Ryan had daylight this year and didn't take advantage. Partially because he's slow and partially because he can make plays with his arm. Next year, I think you'll see Davis, Crane or Boek, turning those deep zones into 10-yard scrambles. It is not a true running play, but it keeps the defenses off balance. For BC fans it will be a change from nearly two decades of pocket passers. But as long as the offense scores points, I really don't care who or how we do it. Jared Dudley worked his way into the starting lineup. Amazing month. Before the season, his coach was publically saying he didn't think Dudley would see the floor this year. BC is now recruiting Pennsylvania prospect Eric Reynolds. Here is the stats breakdown of the basketball team's next opponent -- St. Louis. They are not very good. As long as we rebound well, we should win. Still haven't watched the game back. I will have my second viewing thoughts and grades up late Monday night. Until then, here are my quick, somewhat stream of consciousness thoughts on the hot topics of the moment. No surprise. It is a disappointing bowl because of the lack of history and the opponent. However, I am more convinced than ever that BC fans really need to stop being snobby about bowls. This isn't Boise. It's Orlando against Michigan State. Fans waiting for a big bowl or some name are missing out. I went to Jacksonville. The ending stunk. But I saw BC in a new place and had a really good time Friday night and before the game. The BC fans I came across in the parking lots and in the seats were having fun too. 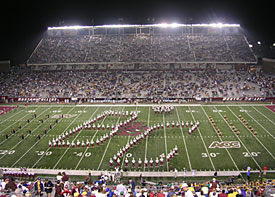 I've seen BC play in front of about 2,000 people against Temple. I've seen BC play in the freezing cold in random bowls. I could go on and on. You know what each trip all had in common? They were fun. If you have the time and resources -- especially if you don't have kids yet or you're old enough that your kids are on their own -- start traveling to a few BC games. It's worth it. I had plans for Christmas week already but I might make a side trip in and out of Orlando to see this group of guys' last game. Others are saying it much better than I am, but this system is a joke. The only championship BC fans should ever worry about is the ACC one. Everything else is as subjective as figure skating. The bowls are not merit based. Never have been and probably never will be. Many fans are saying we'll never be more than we are now. I strongly disagree. I think we'll take a step back for the next couple years, but the past four years showed that if the ball bounces another way here or there, BC does get to that next level. Teams like Mizzou, Kansas, Illinois, and teams like Wake Forest the year before show that any team can put it together for one season. BC should expect to have a winning record every year, compete in the ACC every year and win the ACC occasionally. The season is not officially over and I haven't watched back the ACCCG yet, but I can say this definitively now: Jags did a great job this season. He was a breath of fresh air. Had us in every game. Won more regular season games than any BC coach. Won six conference games (something that had never been done). He and his staff (who I have been critical of at times) overachieved. We had serious roster flaws on both lines, in the special teams, and at some of the skill positions. They did a great job. I'll spend the offseason talking about the future but for now Jags deserves our appreciation and thanks. We have many great fans. We need more. I know there are many reasons why we cannot compare to other schools, like the size of our alumni population, like the pro sports aspect of our location. I know that many of the bowls are far and expensive to travel to. Those are all reasonable, but ultimately excuses. We can do better. I'll spend some of the offseason digging deeper into the issues. Jags' to do is easy. Win the Champs Bowl and keep building. Champs may be viewed as a letdown but we need to win. If you are a BC fan and you are frustrated about our lot in the landscape, then you need to speak up (and probably speak with your money too). Let Gene know we need a playoff. A playoff would kill the bowl system and BC fans would no longer have to worry about Boise and the like. We could just focus on winning the ACC. But you also need to think about traveling to future bowls and ACC championship games. We are never going to shake this repuatation without a big turnout. I watched the basketball game back today (haven't done so with the football game yet). Tough loss, but it made me feel very good about the season and the guys. They were down big in the second half yet stormed back with a variety of contributors. They let it slip away in the OT, but this team will get better and develop a killer instinct. -- Corey Raji. I think he is going to be the perfect Skinner player. He made some big shots from outside. He picked up some cheap points close to the basket. Got to the line. Moves well. Huge day. -- Ballhandlers. This team has the best group of ballhandlers of the Skinner era. Rice, Parris, Sanders and Raji can all dribble. I don't think you'll see teams press us as much. -- Blair's help defense. He is great waiting in the paint. He is not so good the farther out he goes or when he is one on one. -- Roche's play. He was hesitant and got trapped repeatedly in half court. -- Blair/Oates offensive rebounding. These guys need to pick up more boards. -- Man defense. We were much better in the straight 2-3. Any matchup zone or man-to-man created to many easy baskets for Providence. Like I said, I've only seen these guys play twice, but I am very encouraged. I took a few pics but haven't pulled them off my camera yet. Plus I wasn't in a great mood to capture the day. The first half was tense and you know how the second half went. Fortunately Brian F. and his crew picked up the slack.